Just fill the little reservoir with water and pop it in your fridge door. 3. A mini waffle iron perfect for making a big batch, which you can then freeze and toast whenever you need a quick breakfast. 5. A knife sharpener with two grooves (one for coarse sharpening and one for quick touch-ups) to make your year-old knives slice like brand new. 6. 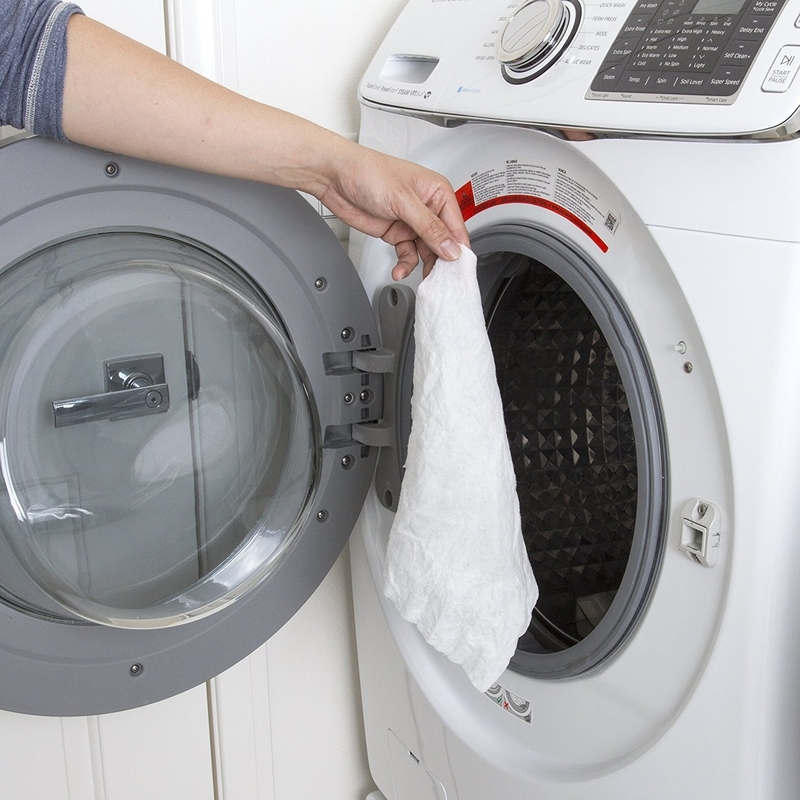 A roll of ~bamboo~ paper towels you can toss in the washing machine and reuse over 120 times! 7. A panini press with floating lids that can perfectly grill up any size sandwich — and at a way smaller pricetag than an airplane ticket to Italy... or a trip to your local deli on the regular. Get it from Amazon for $28.99+ (available in two sizes). And if you prefer making grilled cheese the old-fashioned way, check out our picks for the best cast-iron skillet on BuzzFeed Reviews. 8. A slow-cooker that'll save you money on gas and electricity and also makes cooking (and buying) in bulk more logical. Get it from Amazon for $42.90+ (available in two colors). 9. 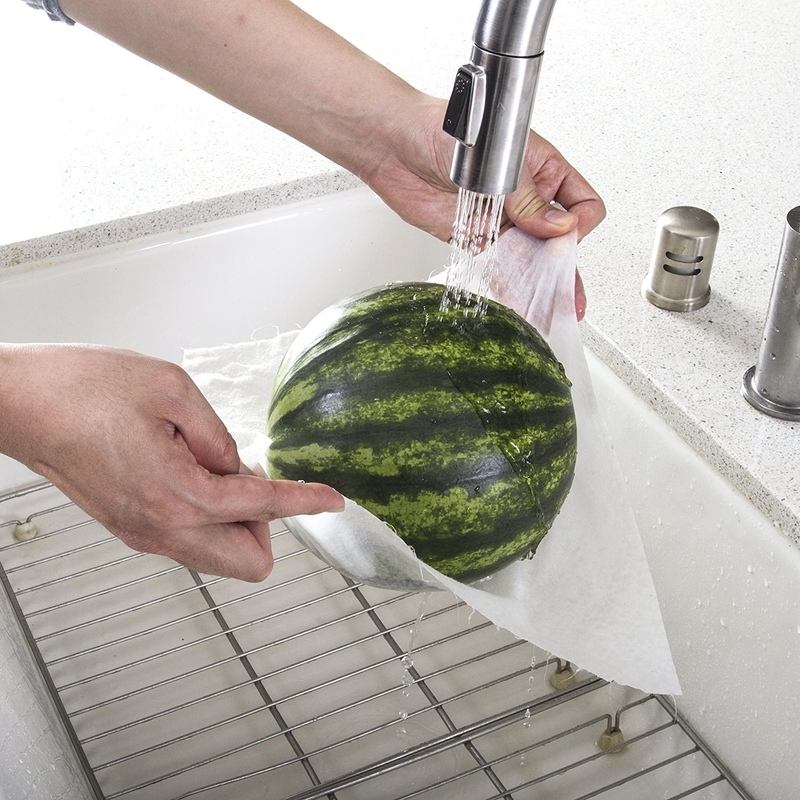 A Food Saver to vacuum-seal any food under the sun, making it perfect for anyone who has been burned by freezer burn before. 10. A set of reusable grocery bags that'll help you shop greener and save money if your local stores charge you for plastic bags — basically, buying these makes a lot of ~cents~. Get them from Amazon for $4.99 each or a set of five for $14.95. 11. A set of reusable snack and sandwich bags to keep you from buying disposable ones ever again — and convince you to actually bring lunch to work once in a while. They're leak-safe and freezer-safe, too. Get a set of five from Amazon for $19.69. 12. Cheese storage paper guaranteed to keep your cheddar sharp, your Parmesan poppin', and your Brie better than ever for way, way longer. 13. A Nespresso Vertuo that'll save both counter space ~aNd~ the amount of money you spend at your local coffee shop on high-quality espressos and coffees. 14. Or if you're a Keurig person, a set of reusable pods so you can make your favorite coffee without shelling out on individual K-Cups. 15. A sleek SodaStream that'll make you say, "La Croix? I don't know her." 16. A microwave popper so you can buy your kernels in bulk (no dumb little bags!) and top your popcorn with WHATEVER you choose — no oil required, if you don't want to add it! Get it from Amazon for $15.90 (available in 15 colors). 17. A two-in-one citrus reamer and saver that'll make juice and store it so you don't waste a whole lemon or orange on a recipe that only requires a little. 18. A vacuum wine saver to remove air and keep your wine fresh for up to a week — great for people who drink one glass a day or use wine for cooking! 19. A lemon verbena soy candle for keeping your kitchen smelling fresh; soy candles last far longer than regular wax candles. 20. Airtight silicone lids that'll expand to fit whatever container you need them to. Say so long to plastic wrap and aluminum foil! 21. A grocery list notepad so you 1) never forget anything at the grocery store, and 2) stop wasting money on impulse purchases you don't actually need. 22. A suction cup basket to attach to the side of your sink and let your sponge drain, keeping bacteria at bay so it lasts longer without that funky smell. Get it from Amazon for $6.99 (available in seven finishes). 23. A decorative soap dispenser for extending the life of your hand soap; just combine one part soap with five parts water, and the dispenser will create a lathery foam wash.
24. A quick and easy breakfast sandwich maker so you can enjoy a hot and satisfying brekkie without having to make a pit stop on the way to work — or shelling out those extra bucks. It'll cook eggs, veggies, meats, and toast up English muffins, biscuits, and even small bagels. Breakfast is ready in five! 25. A salad dressing shaker with measurements printed on the side, an airtight seal, and a one-handed lever for easy pouring of your very own homemade vinaigrettes and dressings. 26. A salad spinner to keep your greens washed and fresh for crisp salads whenever you want. You'll never be surprised looking into a sad bowl of wilted and spoiled greens. 27. Rubbermaid FreshWorks storage containers with venting technology to keep produce fresh for up to 80% longer. 28. Bread-saving sheets that'll say "no more, mold!" and keep your favorite baked goods fresher for up to four times longer. 29. A refillable olive oil spray bottle with a nonaerosol nozzle to help you use the right amount of oil every time, with no wasted product. Get an 18-ounce bottle from Amazon for $16.57 (available in three sizes). 30. An 18-cup Brita dispenser that'll sit neatly in the fridge and provide great-tasting water for the whole family, without having to schlep massive packs of the bottled stuff from Costco. Get it from Amazon for $31.88 (available in two colors). 31. A sushi-making kit guaranteed to reduce your takeout bills if you're a big-time roll lover. 32. A sectioned salad container with compartments for greens, toppings, and dressing for a not-sad and not-soggy desk lunch — eat your heart out $15 take-out salad! Once you're ready to eat, take out the removable toppings tray, add your dressing, and shake it up! 33. An airtight cold brew maker so you can get your ice-cold caffeine fix immediately upon waking up. Waiting in that Starbucks before even having your coffee? No thank you! Air tight = your coffee won't taste like the Chinese food leftovers that are *also* in your fridge. 34. A ~guac lock~ container that'll press alllllllll the air out so your precious dip won't turn brown or get mushy. Leftover guac? Miracles DO happen. Get it from Amazon for $16.11.